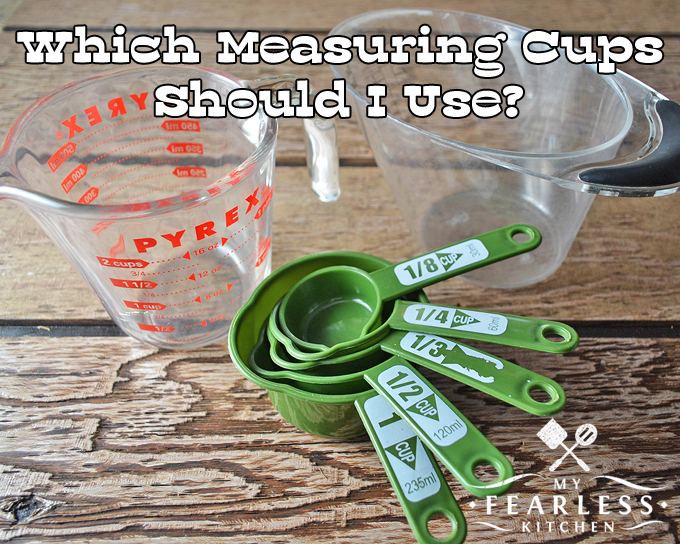 You are here: Home / Holiday Tool Box / Which Measuring Cup Should I Use? There are two main types of measuring cups – dry measuring cups and wet measuring cups. My husband and I have been known to argue over whether it matters which kind you use. I am in the firm camp that it does matter. He wants to have fewer dishes to wash. So… does it really matter? Dry measuring cups should be used to measure dry ingredients. Okay, so that’s sort of a no-brainer. These cups should also be used to measure thick ingredients, like peanut butter, salsa, and ketchup. You want dry measuring cups to have a smooth edge, not a spout like mine. 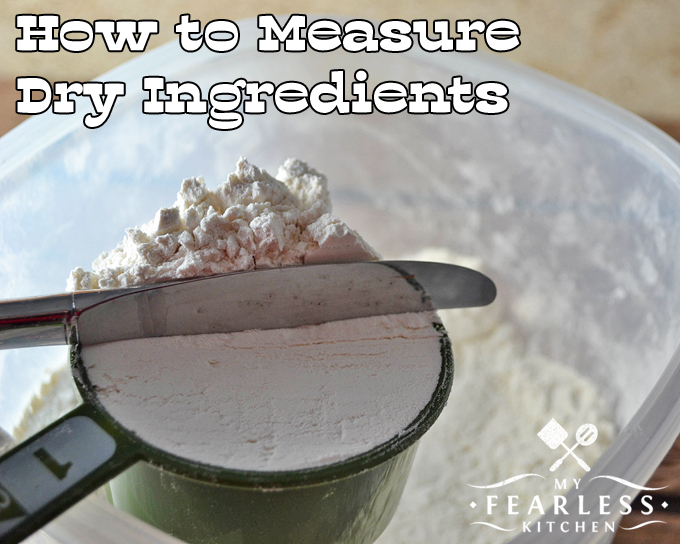 To measure dry ingredients, the measuring cup should be filled all the way to the top, and then leveled off. You’ll want to overfill the cup a bit, and then scrape the extra ingredients off to get an accurate measurement. You want to be careful that you don’t pack the ingredient into the cup before you scrape it off. For things that can compress (like flour), this can give you much more than you want. Tapping the measuring cup against the counter or shaking it to get the ingredient leveled off will also result in too much of your ingredient. Stick with the “gentle scoop and scrape” method for the most accurate measurement. 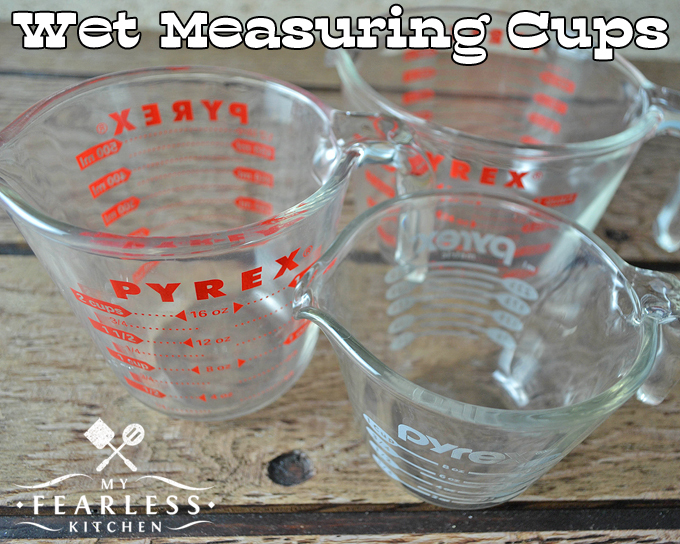 Wet measuring cups should be used to measure liquids – water, milk, oil, and anything else that pours easily. To measure wet ingredients, the measuring cup should be filled to the appropriate line. This is the big reason to use wet measuring cups for liquids. When you measure 1 cup of water, you’ll still have some room at the top of the container so you don’t spill. If you’re using a dry measuring cup to measure 1 cup of water, you’ll need to fill the cup all the way to the top, and likely spill as you’re moving the cup from your sink to the bowl. You want to get down to eye-level with your liquid to get the most accurate measurement. If you look down on the measuring cup, you will get too much liquid. If you look up, you won’t have enough. The honest truth is that if you measure one cup of a liquid and then pour it into a dry measuring cup, your measuring cup will be full. 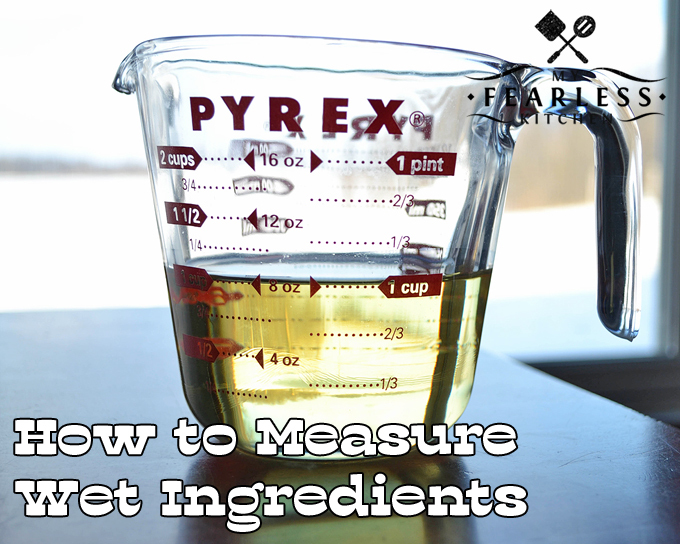 And if you measure one cup of a dry ingredient and pour it into a wet measuring cup, you’ll still have one cup. 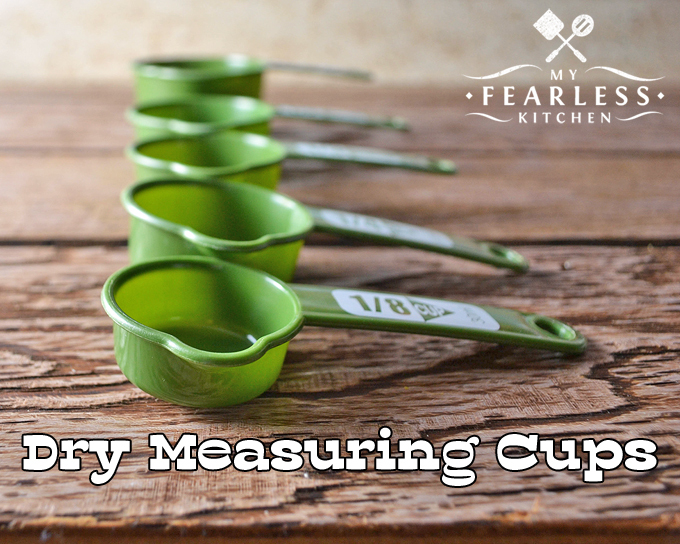 The real reason for using the “correct” measuring cups is for ease of measurement – you won’t have to worry about spilling your liquids or getting the top of your dry ingredients smooth enough to measure. If you really don’t want to have two different types of measuring cups, go with dry measuring cups. But I’d strongly recommend that you use both! I use a dry measuring cup for these types of ingredients. Use a measuring cup for dry ingredients. Something like the green ones in the photos in this article.